The sooner hearing loss is treated, the better the outcome. Dr. Bridge at The Beaufort Sound works to improve his patient's lifestyle by identifying the best way to treat their individual hearing issues. 1. Help in background noise. Our brain is designed to use the sound information coming in through both ears to fully understand our surroundings. By listening to the speech and the noise coming in through both ears and comparing them against each other, our brain can decipher what information is pertinent to understanding speech information and focus on that sound source, while at the same time ignoring the background noise or distant conversations that are competing for our attention. When we only use one hearing aid we are not taking advantage of our brains natural abilities to focus on speech while in difficult listening or noisy situations. 2. Better Localization. Localization is our ability to identify the direction a sound is coming from, or the ability to identify the location of a sound source. When we are trying to understand someone talking to us, it is important to be able to identify where they are in the room. If we are unable to locate them our brain has a difficult time focusing on what they are saying to us. Wearing a hearing aid in one ear only makes it more difficult to determine the location of a sound source because of the increased audibility of one ear verses the other. 3. Better Clarity. With only one hearing aid an individual may have things louder on one side, but it does not always bring back the clarity and understanding of speech that they were expecting in comparison to using both ears. 4. Reduction in tinnitus. Tinnitus is the official term for what most people call “ringing in the ears.” In a research study by Mencher (2006), they found that bilateral amplification has reduced or eliminated tinnitus. They did not find the same results when a patient was using just one hearing aid; however, results did indicate that wearing a hearing aid in one ear could relieve the tinnitus on that same side but could not suppress it all together if it was present in both ears. 5. Prevents auditory deprivation. A less known fact about hearing loss is that when an individual has hearing loss and goes a few years without amplification to that ear, hearing can begin to deteriorate. This is known as auditory deprivation. Auditory deprivation studies have shown that if an ear with hearing impairment was left unaided, it did not change in terms of threshold pure tones or speech recognition thresholds, but did lose the ability to discriminate or understand speech later on. Studies have also found that older patients are at greater risk for higher levels of deprivation. To schedule your hearing consultation with Dr. Larry Bridge call 843.522.0655. Click the arrow icons to see the different styles of hearing aids available at The Beaufort Sound. 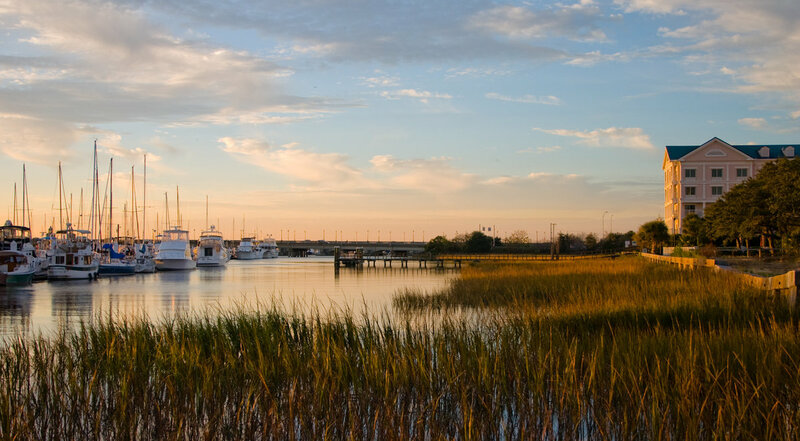 For the past 10+ years, Dr. Larry Bridge has practiced audiology in every setting ranging from VA hospitals, to private practice, and most recently, an ENT setting here in Beaufort. View and download patient forms. These hearing aids are worn in the ear and are usually custom-fit, based on an impression that is taken Dr. Bridge at the time of the hearing aid consultation. These styles are typically available in different skin tones to blend with the outer ear. These hearing aids sit behind or on top of the outer ear with wiring / tubing that routes the sound down into the ear canal via a custom-fit earmold or an ear tip that doesn’t block the entire ear canal opening. BTE styles are available in different colors to match hair or skin tone, as well as flashier designs to highlight personal flair. All custom made ITE hearing aids and earmolds for BTEs are made from a "cast" of the ear called and ear impression. Dr. Bridge can make an ear impression in the office in about 5-10 minutes. He begins by placing a special cotton or foam dam in your ear canal to protect the eardrum, and then a waxy material is applied to fill the ear canal and bowl of the outer ear. When the material hardens a few minutes later, the cast, along with the dam are removed from the ear canal. Different sizes of hearing aid accommodate different features, exterior control options and battery sizes. Larger hearing aids, whether ITE or BTE style, accommodate more buttons, more interior circuitry and larger batteries that may be needed for to meet power consumption requirements. IIC and CIC styles are the tiniest hearing aids made. They fit deep into the ear canal, allowing the patient to benefit from the pinna’s natural resonance and localization characteristics. They are typically fit for mild or moderate hearing losses and offer high cosmetic appeal as they’re nearly invisible when worn. Because of their small size, they don’t usually come with any manual controls, like volume controls or program buttons. Unfortunately, the deep positioning also makes these styles the most susceptible to damage from ear wax and moisture in the ear canal. IIC and CIC styles are only practical for individuals with good dexterity because they have the smallest battery size and can be tricky to remove and insert. An ITC hearing aids sit in the lower portion of the outer ear bowl, making them comfortable and easy to use. Because they’re slightly larger than IIC and CIC styles, they have a longer battery life and can fit a wider range of hearing losses. Their size also allows them to host additional features such as directional microphones for better understanding in noisy environments and manual controls, like a volume wheel. Low profile instruments range from half shell designs that fill half the bowl of the outer ear to designs that fill almost the entire outer ear bowl. Like ITC styles, low profile designs are large enough to enable the addition of features such as directional microphones and manual controls, such as a volume wheel and a push-button for changing programs. The size of a low profile style makes it desirable for people with dexterity issues because it is easier to handle than the smaller sizes. Mini BTE styles are designed to hide behind the outer ear and have ultra-thin tubing to discreetly route sound into the ear. The tubing typically connects to a soft tip that sits in the ear canal but doesn’t occlude it. The result is a natural, open feeling as airflow and sound enter the ear naturally around the tip, while amplified sound enters through the tip. This is known as “open fitting” and is recommended for mild to moderate high frequency losses. This style is so popular that more occluding ear tips have become available in order to accommodate a greater degree of hearing loss. RITE or RIC (mini RITE or mini RIC) hearing aid styles are BTEs that have the speaker built into the ear tip instead of the main body of the hearing aid. Thus, the speaker of the hearing aid rests in the ear canal but the microphone and processor sit in a tiny case behind the ear. They are connected by a thin wire. The ear tip is larger to accommodate the speaker but if it malfunctions due to wax or moisture damage, it can often be replaced at the hearing aid center instead of going to the manufacturer for repair. BTE styles that come with earmolds can fit any type of hearing loss, from mild to profound. Their longer shape follows the contour behind the outer ear and can generally house more features, controls and power than any other style of hearing aid. Because the sensitive electrical components rest behind the ear, they are usually less susceptible to moisture or wax damage, requiring less frequent repairs. The custom-fit earmold can be ordered in a variety of colors and styles. The tubing that connects the earmold, as well as the earmold itself, can be cleaned and replaced over time. The BTE with earmold style is commonly used for children because the BTE can be reprogrammed as needed and the earmold can be replaced as the child grows. Selecting and understanding what hearing aid is the right fit for you can be challenging. 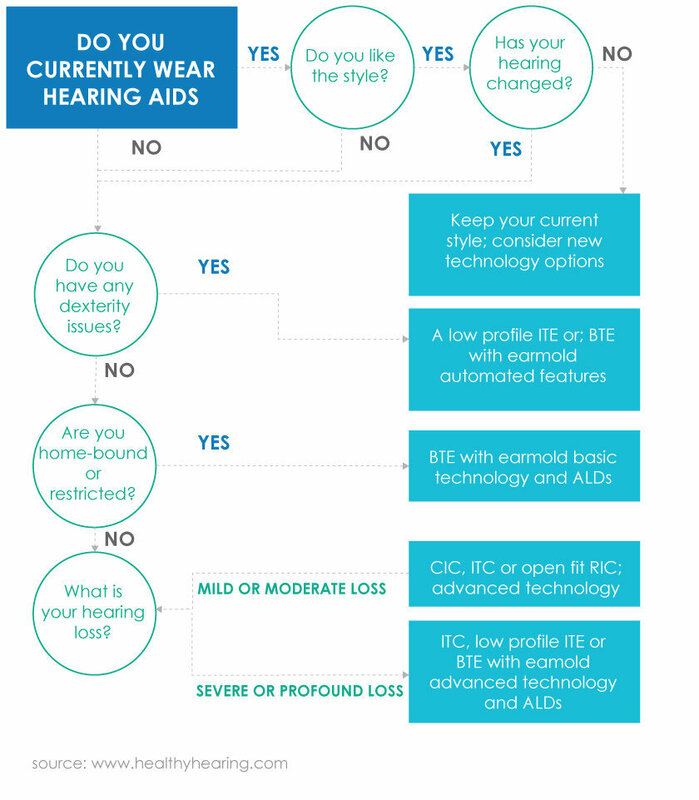 This flow chart can help first-time hearing aid users or individuals in the market for a new device figure out which hearing technology might be the best fit. When it comes to hearing aids, there are multiple features and styles available to suit different hearing loss needs. It’s important to consider a number of different things when selecting the right style to fit your needs. What is the best hearing aid for me? For individuals already wearing hearing aids and seeking to update their technology, the best place to start is with the current device. Because hearing technology is constantly evolving, hearing aid users will often be able to find the same or a similar style to their outdated device, just equipped with newer and more modern features. It’s possible the type of hearing loss has changed over time, however; so it’s important to have your hearing tested before updating hearing aids. Do you have any problems with dexterity? For individuals with dexterity issues (difficulty grasping small items or losing feeling in fingertips), it’s usually easier to avoid smaller devices. Low profile In-the-Ear (ITE) devices or Behind-the-Ear (BTE) devices with earmolds might be suitable because they are the largest instruments and easiest to handle. Additionally, the batteries will be the largest—size 13 or 675— which will allow for simpler battery swaps. Automated features should also be considered to assist adjusting volume, changing between programs and using the telephone. You may also want to talk to your hearing care practitioner about the possibility of a remote control if the volume or program controls on your hearing aids are difficult to use. If the individual seeking hearing aids is homebound, restricted in daily activities or cognitively impaired, BTE devices with earmolds might be most suitable. Selecting earmolds made of soft, flexible material can help it fit comfortably in the ear and makes it easy for a caretaker to assist. Other items to consider, such as assistive listening devices, include amplified telephones, special smoke detectors, bed-shaker alarms, doorbells that flash a light or a device to amplify the television. If you have a mild or moderate hearing loss, there are several options to consider when selecting a hearing aid, including Completely-in-Canal (CIC), In-the-Canal (ITC) and Receiver-in-Canal (RIC). If you have hearing loss in the lows and the highs, a more occluding fit from CIC or ITC styles will accommodate the loss while still being quite discreet. If your hearing loss is primarily in the high frequencies, open fit RIC styles are the most comfortable because they still let in the natural low-frequency sounds while they amplify the high frequencies. These options can also be equipped with advanced features to allow hearing aids to filter noise from speech, adapt to different environments, suppress feedback and wirelessly connect to mobile phones, a personal microphone system or other public assistive listening devices. For individuals with a severe or profound hearing loss, ITC hearing aids, low-profile ITE hearing aids or BTE hearing aids with earmolds might be suitable, depending on the degree of loss. These styles of hearing aids provide the most powerful amplification and are least susceptible to moisture damage from the ear canal. 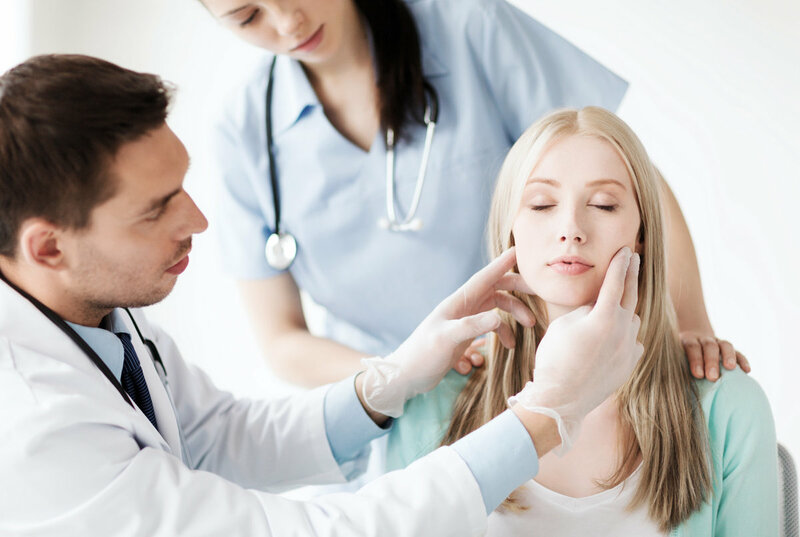 It can be helpful to select by taking into account the size of your ears, personal preference and the amount of wax that builds up in your ear canals. Advanced features are important when this type of loss is present, as they can filter noise from speech, adapt to different environments, suppress feedback and wirelessly connect mobile phones, a personal microphone system or other public assistive listening devices. Other items to consider when dealing with severe to profound hearing loss include assistive listening devices, such as amplified phones, specialized smoke detectors, bed-shaker alarms, doorbells that flash a light or a device that amplifies the television. This flow chart should be used only as a guide when considering and selecting a pair of hearing aids. Hearing aids can be fitted for a broad range of hearing losses in more styles and sizes than ever before, in part due to the miniaturization of electronics. More people than ever can wear tiny, nearly invisible models, and even the larger-sized instruments are available in very sleek styles. Visit Dr. Bridge to learn more. What is your hearing ability? Sound waves enter your outer ear and travel through a narrow passageway called the ear canal, which leads to your eardrum. Your eardrum vibrates from the incoming sound waves and sends these vibrations to three tiny bones in your middle ear. These bones are called the malleus, incus, and stapes. your middle ear amplify the sound vibrations and send them to the cochlea, a snail- shaped structure lled with uid, in the inner ear. An elastic membrane runs from the beginning to the end of the cochlea, splitting it into an upper part and a lower part. to ripple, and a traveling wave forms along the membrane. As the hair cells move up and down, they create an electrical signal. a sound that you recognize and understand.